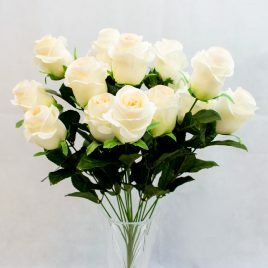 14 creamy white roses with centre stem. 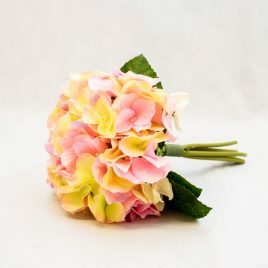 Lovely silk flower arrangement in peach/pink. 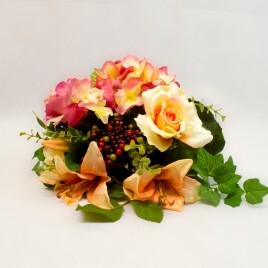 Comprising - hydrangea, roses, lilies, berries, ivy and foliage. 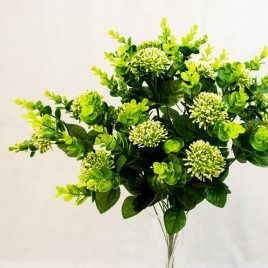 Set on a centre stem. 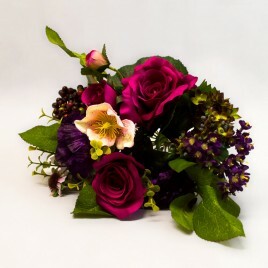 Silk flower bouquet in wine/purple. Comprising - poppies, roses, daisies, berries, eucalyptus and foliage. Set on a centre stem.